of his time at MLHS, Dave has headed the baseball program. Additionally, he spent 19 years coaching basketball, including six years as the head basketball coach. During his tenure as baseball coach, the MLHS program has won ten conference championships and made four state tournament appearances as Coach Lane piled up over 420 career wins. Dave’s impact on the program extends far beyond wins and losses. His passion for the game motivates him to meticulously maintain the school’s field. His willingness to serve in any capacity, whether it be mowing the grass, chalking lines or dragging the field, models the type of service we desire out of our student athletes as they move into adulthood. Dave’s mentorship of his players has left a lasting mark on these young men. In recognition of his work on and off the field, Dave was inducted into the Minnesota State High School Baseball Coaches Hall of Fame in October 2016. Congratulations, Dave, on a fantastic career both on the field and off. 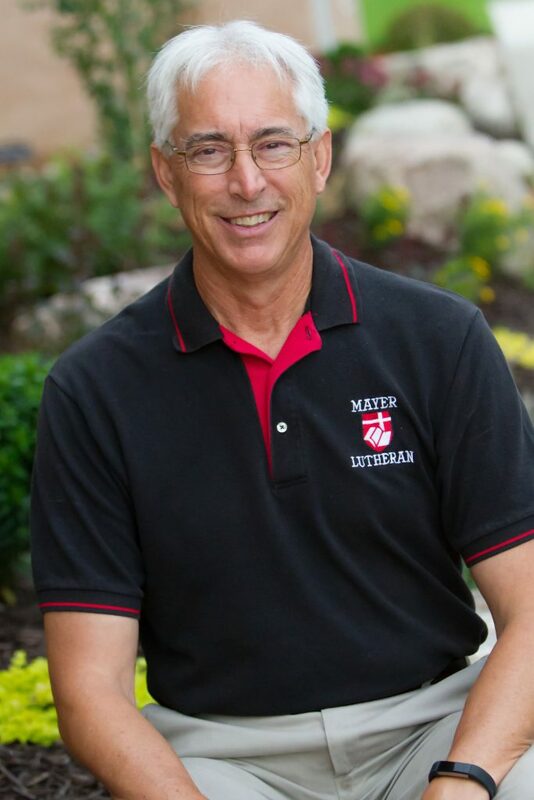 Thanks for your dedication to Mayer Lutheran, its students, its families, and through it all, your Lord and Savior Jesus Christ. To God all praise and glory!